This weekend we have some rather large sales on the fantastic work Belsimtek has done on their helicopters. Particularly with the new Normandy 1944 Map and the upcoming Caucasus map update and the new Strait of Hormuz map, flying helicopters has never been so good in DCS World. A-10C: Tactical Training Qualification Campaign is now available purchase on Steam. Please note that this campaign is for DCS World 1.5 and requires DCS: A-10C Warthog. This campaign also uses Steam keys. This past week was an important milestone for RAZBAM’s AV-8B NA as it entered internal testing. Over the next several weeks, the module will be de-bugged, tuned, and added to in order to bring it to being available for pre-purchase and then its Early Access release. 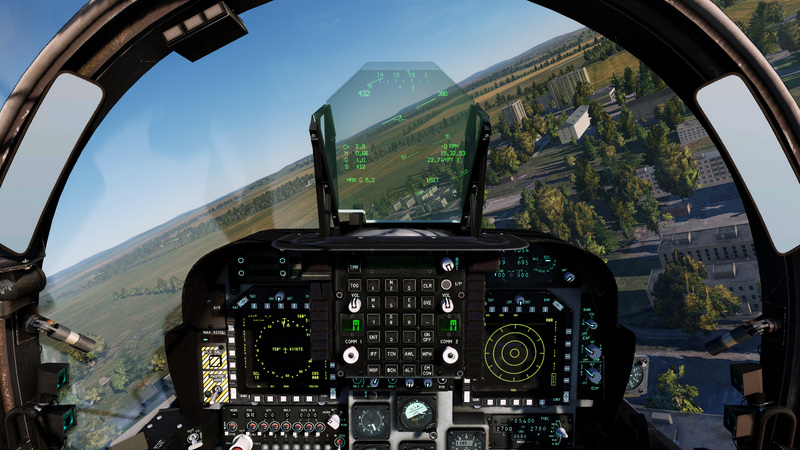 Check our screenshot gallery to find more images of this beautiful machine that RAZBAM is brining to DCS World. Developed by Belsimtek, The NS 430 GPS navigation system, is an optional add-on module for DCS World aircraft. Starting with DCS: Mi-8MTV2, the NS 430 provides powerful, yet intuitive, navigation and radio communications options to supplement the navigation and radio systems already integrated into our aircraft. The NS 430 is just one of several, planned expansions for the Mi-8MTV2. The NS 430 is particularly useful for older aircraft with less sophisticated navigation and communication systems. The NS 430 was introduced in 1997 and quickly became aviation’s most popular GPS. Wide Area Augmentation System (WAAS) capability was added in 2006. The sharp, clear display and intuitive button layout of the NS 430 made it the standard for general aviation around the world. 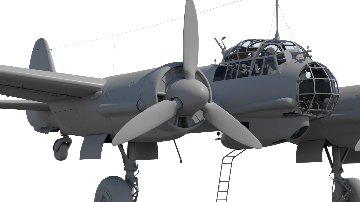 For this week’s update, we are pleased to show some initial renders of the Ju-88 medium bomber of the Luftwaffe. The Ju-88 will be a welcome addition to the DCS World War II battlefield as both a target or an asset to defend. The F-5E Aggressors Basic Fighter Maneuvers (BFM) campaign puts you in the cockpit of an F-5E Tiger II, as a new Aggressor pilot with the 65th Aggressor Squadron at Nellis Air Force Base. This campaign is based on real world procedures you will fly as Red Air against Blue Air Forces. Upon arrival, you will fly a familiarization flight around the Nevada Test and Training Range (NTTR). Then you will face a series of challenging Basic Fighter Maneuver (BFM) missions against similar and dis-similar aircraft. Your opponents include the F-4E, F-5E, F-14A, F-15C, F-16C, F/A-18C, M-2000C, MiG-29G, CF-188 and MiG-21. There are over 1000 voice overs and over 45 pages of briefing material including the RED FLAG Spins, Red Forces In Flight Guide, Maps, Diagrams, Custom Knee boards, and Mission Data cards. Please note that DCS: F-5E Tiger II and DCS: NEVADA Test and Training Range Map are required to be installed and activated into the DCS World 2 Open Alpha for the campaign.